With the release of a new project, Deeply Rooted: The Lost Files, Scarface added to an already extensive catalog that stands as one of the best in the entire hip hop game. 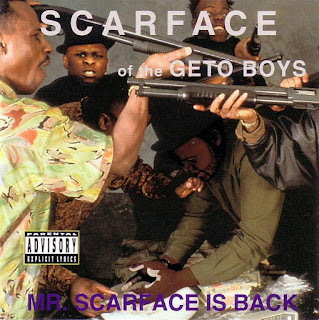 Since his arrival with the Geto Boys, Scarface has giving the world a number of legendary verses and classic songs, and he doesn't seem ready to stop just yet. With a laser like focus on each release, I had to wonder, what was the greatest album from the Texas legend? 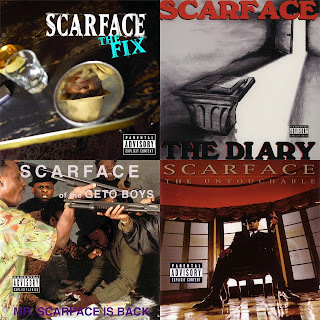 With that thought, I wanted to list what I think are the 5 best albums from Scarface. What ranks at no. 1 to me? Read on to find out. -This was a tough choice. With a catalog that is beyond most, it's honestly a tough decision to pick this choice. My top 4 came pretty easy to me on revisiting his albums, but that fifth choice was a bit more elusive. I could have selected MADE or Emeritus, but there is something about a rapper coming back after a 7 year hiatus and making a near classic that sticks out to me even more. 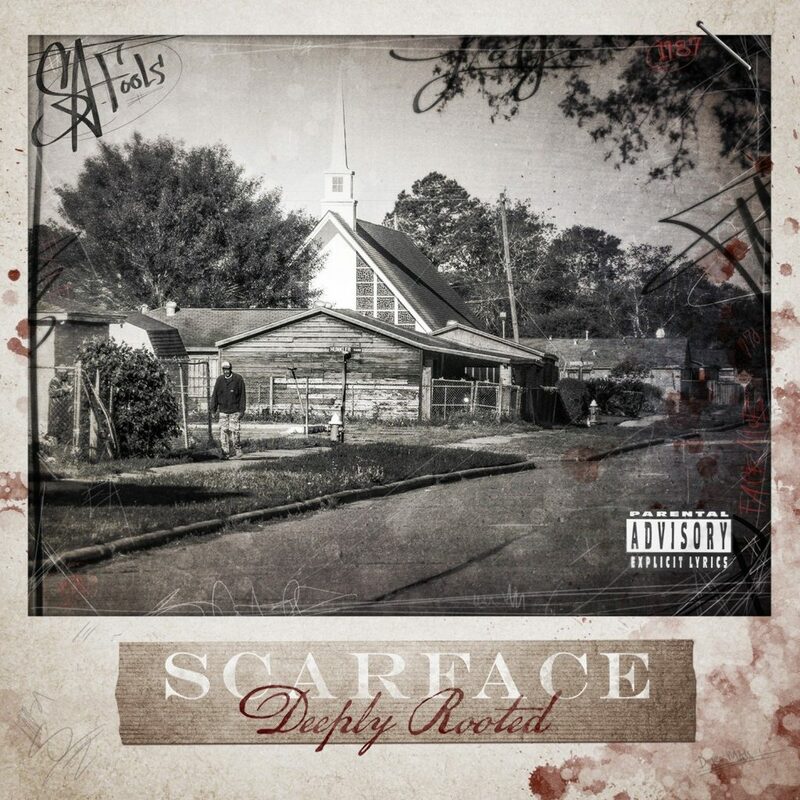 With a 7 year difference between his last album and this one, Scarface delivered one of the best projects of 2015, and I believe this is one of the most underrated projects of the decade so far. We've come to expect greatness from Scarface, so perhaps people overlook his albums due to his consistency, but Deeply Rooted is yet another great album, full of solid and engaging production, alongside features from Nas, Rick Ross, Cee-Lo Green, and many more. My favorite tracks on this album are "You", "Voices", "Do What I Do", "No Problem", and "God", but for the most part, Face doesn't miss at all on this album. -The true beginning. While many people have considered this album to be one of the best, and possibly the greatest in his catalog, I think this album is close to a classic but not really comparable to the top 2 choices here (and barely missed the 3rd spot). It's a really good album that showcases what we loved about Face from his Geto Boy days and then some. He would take on a darker tone in some of the music, blending reality rhymes with some imaginative aggression and lyricism for a solid overall listen. I enjoyed the production (for the era it was in) and thought Face held his own for sure. My favorites here? I would have to say "Born Killer", "Murder By The Reason Of Insanity", "Diary Of A Madman", and of course, "Money And The Power", which is a certified classic song. While his work would get better with time, this was a great introduction to a future legend in hip hop. -I struggled with my third choice because any of his album could be in the last 3 slots. That's what makes his catalog so amazing, because he really doesn't have a bad album. While some of the albums have a bit more legacy to them than the others, all of the projects from Scarface are amazing in their own right. That leads me to his 1997 release, which is classic in its own right, but also features some of the most infamous songs in the entire Scarface catalog, including the 2Pac assisted classic "Smile". Face would also bless the listeners with tracks like the Devin The Dude featured "Smartz", the iconic "Mary Jane", and the Ice Cube, Dr. Dre, and Too Short featured "Game Over", rounding out an album that is still slightly underrated when talking his catalog. It's one of the near classics in his arsenal and I think it's slept on from a production and lyrical standpoint. 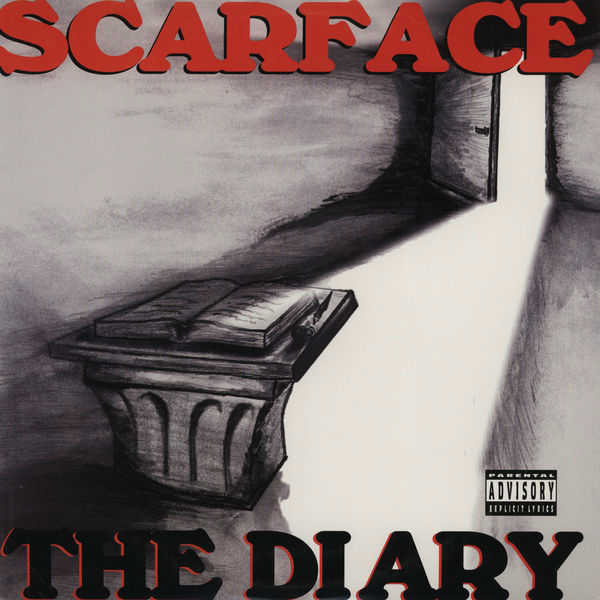 -A lot of people would tell you that this album is the best from Scarface, and they're not necessarily wrong. It's really choosing between two projects that could be no. 1 that made this article a bit tougher than I expected. I covered this album a little while ago on the Southern classics of the 90's in hip hop, and honestly.... I find it hard to argue against this album for so many reasons. It features some of the best Scarface music, some of his better verses, and flows about as concise and cohesive as any album from this era. 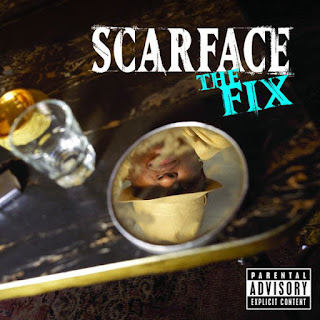 I won't go on too much about it, due to the fact that we just covered it, but I will say that with tracks like "Hand Of The Dead Body", "I Seen A Man Die", "No Tears", "Jesse James", and more, Scarface delivers on an album that has solid production, intriguing subject matter, and most of all, great lyricism. The Diary is a hip hop classic and it can either be no. 1 or 2 on your Scarface list, but the fact remains that it is top 2 regardless. -I'll admit... I'm biased to this album and for good reason. There aren't many albums that you can actually relate to or feel the spiritual vibe that's coming from the music, but in all honesty, this album is one of those. This is the personal salvation of Scarface, as he comes of age in a manner that we hadn't seen on previous albums. While I can't relate to some of the religious elements he speaks of, what I can relate to is the need to find purpose and to get better as a person. The subject matter ranged from reminiscing on his neighborhood to looking death in the face at the behest of the realization of his own mortality to boasting about his status in the game. There's so much classic music packed into a relatively short tracklist, and honestly, the production is also a highlight, and in my opinion, this is the best produced Scarface album overall. 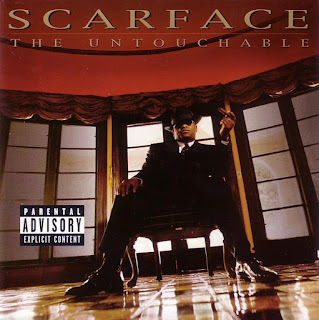 With production from Mike Dean, Kanye West, T-Mix, The Neptunes, and more, Scarface navigates through a mix of booming soulful tracks and mellow soul searching songs. Whether alongside Nas on the epic "In Between Us", or with Jay-Z and Beanie Sigel on the classic single "Guess Who's Back", Scarface delivers next to top tier guests. My favorite songs here outside of those two remain "Someday", which is honestly a beautiful song overall, as well as "Heaven" and "What Can I Do". 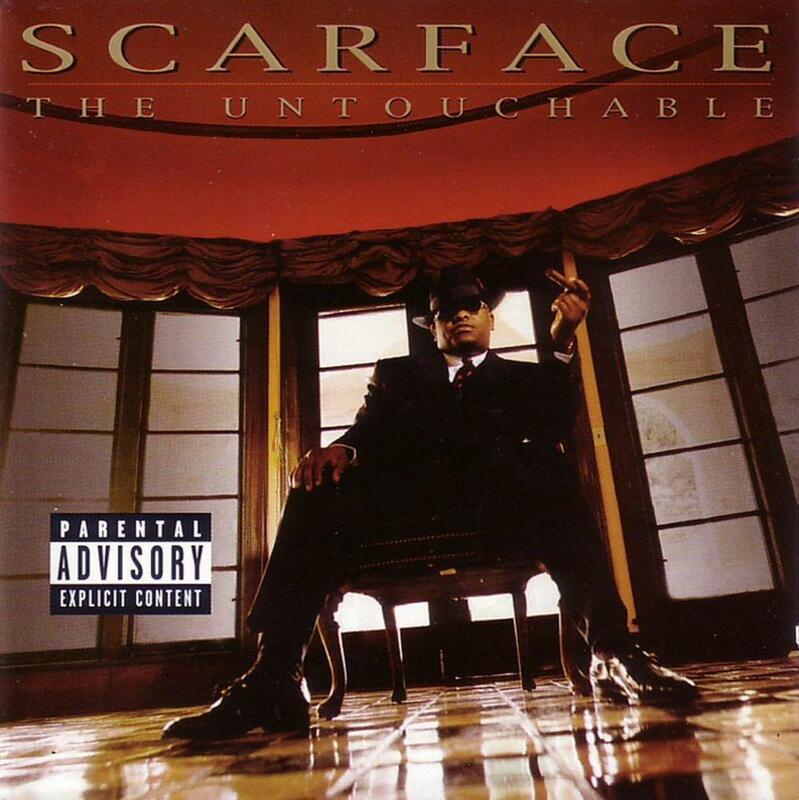 This album is essentially a flawless listen from top to bottom, and in my opinion, this is the magnum opus of Scarface.